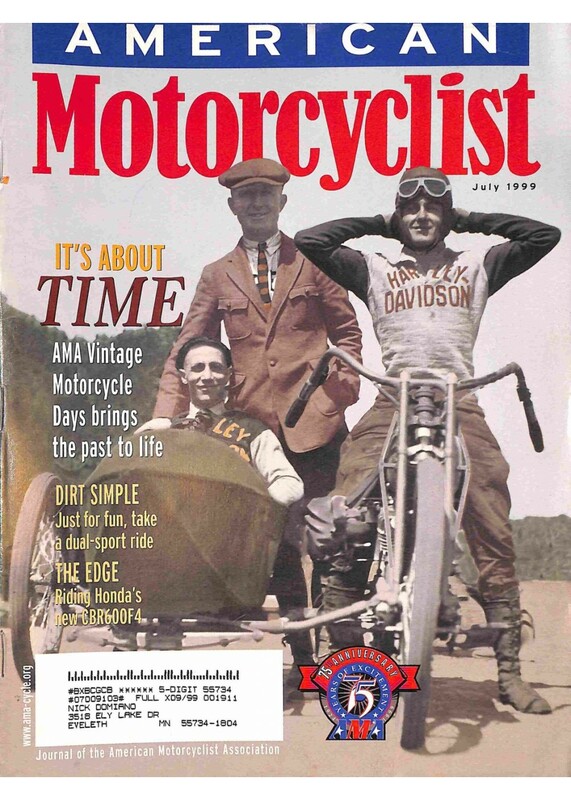 April 9, 2019, Irvine, CA — The Motorcycle Adventure Rally & Camp returns to Southern California for the second straight year at Stagecoach Trails Resort in Julian, Calif., November 7-10. The format continues to expand and evolve from past Adventure Rally Sierra and Rockies Editions, creating even more opportunities to discover diverse riding, in a location just waiting to be discovered on adventure motorcycles. Early bird registration is currently underway through May 31, with participants able to save money. To register online, visit www.advrally.com. The Adventure Rally features over 100+ points of interest to find in an over 200-mile radius from base camp, spread across a vast terrain of mountains, valleys, deserts, and more! A variety of new exciting points of interest will be part of the event this year. Participants can ride one, two, or all three days of the event. Top point collectors will be honored each day as well as the team that collects the most points overall for all three days. A variety of camping options will be offered again this year. >From tents to RVs to on-site cabins, all are available at the Stagecoach Trails Base Camp (stagecoachtrails.com). For those not wanting to camp, just 12 miles up the road in Julian, Calif., plenty of lodging choices are available. Expanded food offerings are in place—including a 4-day food option with a unique menu offered each of the four days. Also, food can be purchased from Daddy’s Famous Food Truck. The option for participants to bring their own food is also available again this year. In addition, an increased vendor area will be on-site. These combinations lead to more riding and overnight choices and opportunities, more exciting happenings at base camp, and additional adventure. Riders of all skill levels are welcome. 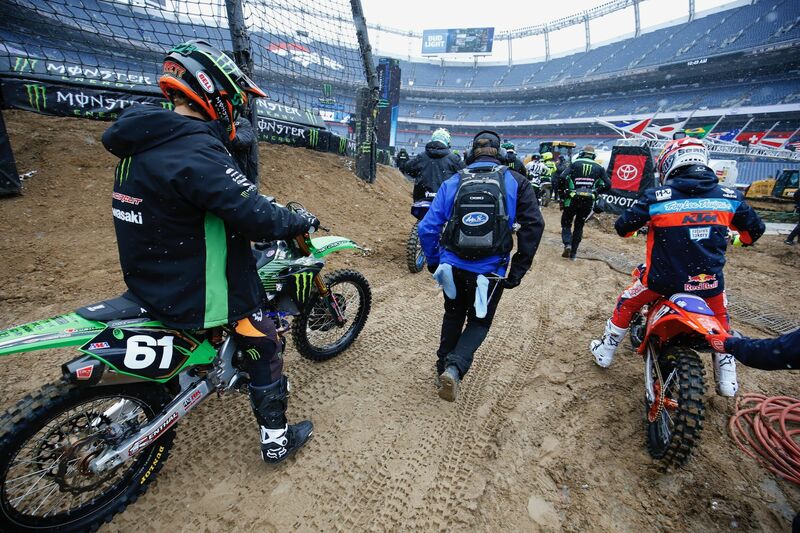 All off-road-capable, street-legal motorcycles are welcome. For more information on the Motorcycle Adventure Rally & Camp and to register, visit www.advrally.com. The Adventure Rally is made possible by GEICO Motorcycle and Statecoach Trails. The Adventure Rally is a multi-day challenge for any skill-level rider and their machine. By day, self-navigated scenic trails are completed in search of elusive checkpoints. At night, competitors spend time together, along with staff from Cycle World, Motorcyclist, and Dirt Rider and other industry guests. 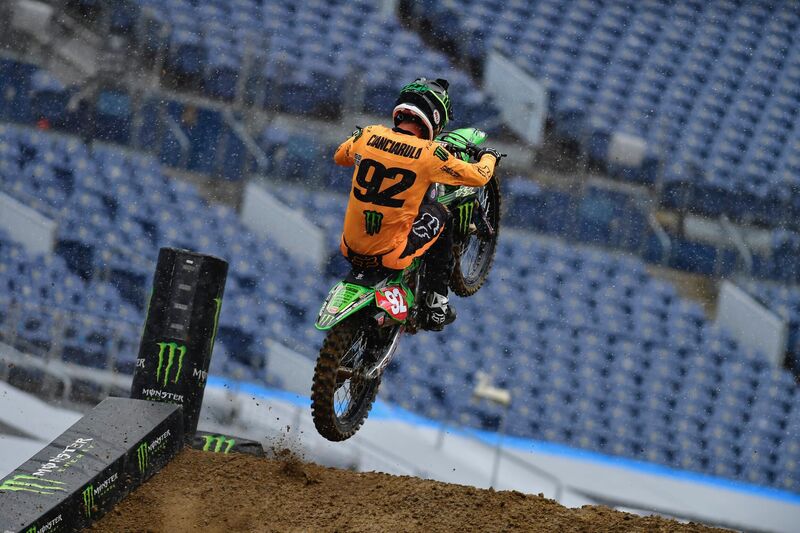 Each team will participate on the trails as well as in special tests. The special tests are conducted at the Stagecoach Trails Base Camp and are designed to improve the adventure skills of participants. By 2021, New York City will begin charging drivers who enter Manhattan below Central Park under the guise of congestion pricing. No one is surprised. City and state officials have been trying to make this happen for years. The rare alignment of views between the governor, the mayor, and the state legislature─each likely motivated by the prospect of monetizing driving─made it happen. But at what cost? In a study last year, a proposed flat rate of $11.50 for cars and $25.00 for trucks was suggested but the budget that passed on April Fool’s Day did not specify any fees. The decision of who will pay what will belong to the governor, the mayor, and a yet-to-be-named six-member panel. The budget goal is to raise $15 billion to fix the Metropolitan Transportation Authority’s subway, train, bus, bridge, and tunnel system. This grand scheme has nothing to do with reducing traffic and everything to do with finding more cash to bail out mainly the city’s beleaguered subway system. Not only will all sorts of vehicle-related services such as taxis, rideshare and delivery surge in price, but the goods and services provided to New Yorkers will almost certainly go up too. “Not a nickel goes to roads in a state where 69 percent are considered in bad or mediocre condition,” said AAA Northeast spokesman Robert Sinclair to Bloomberg. Not only that, the wrangling for exemptions has already begun. Suburban motorists say they already pay various tolls to drive into the city so why should they pay another fee for the privilege of driving in the city. Commercial truckers also want an exemption as do taxi drivers, and the disabled. Exemptions to the congestion pricing have already been made for motorists on FDR Drive and the West Side Highway north-and-southbound express routes. New Jersey Governor Phil Murphy also asked in a letter to NY Governor Andrew Cuomo that credits or an exemption should apply to drivers heading to Manhattan via the Lincoln and Holland tunnels with tolls already as high as $15. He added that the congestion pricing plan would pack NJ trains and buses, noting that some of the congestion-pricing revenue should go to his state to offset the increase of services. Ironically, since November, the ridesharing company Uber has spent $1 million (out of $2 million total for the campaign) to help push congestion pricing over the edge. Uber’s stated goal is to get motorists to give up their cars completely so they might become Uber customers (cars, bikes or scooters). Company officials have also said they are committed to spending $10 million in support of congestion pricing nationwide. The flood gates are opening around the country. Massachusetts lawmakers are sponsoring a bill to require traffic studies and possibly congestion pricing along Boston’s airport route. The city of Boston was recently given the dubious title of most congested city in America by the INRIX Global Traffic Scorecard. This week, TheNewspaper.com reported that the Southern California Association of Governments (SCAG) issued a federally funded report in late March that explored the feasibility of tolling drivers who enter downtown Los Angeles. The fees raised would be used for transit and bicycle lanes. Called the Mobility Go Zone Program, the potential congestion pricing plan would be put in place not just for downtown but in neighborhoods (Los Angeles International Airport, Hollywood, San Fernando Valley, Santa Monica, and the Westside) where gridlock could best be exploited to raise funds. The SCAG researchers claimed in the report that the tax would increase bicycle riding by nine percent and walking by seven percent. Automated license plate readers would track vehicles which lack a FasTrak toll transponder. The introductory charge to enter those congestion zones would be $4.00 per vehicle. In late February, the Los Angeles Metro Board of Directors also agreed to move forward on a congestion pricing study. The study will look into several methods of charging motorists. One will be a tax on the number of miles traveled, and the other would look at a traditional congestion pricing model of charging motorists to enter certain neighborhoods. Any congestion taxes would be used to help fund infrastructure in the “28 by 28” initiative. City officials aim to complete 28 road, transit, and bicycle/pedestrian projects before the 2028 Summer Olympics in Los Angeles. A great deal of speculation has been surrounding San Francisco and possible congestion pricing. Marin County officials are concerned that all the fees paid would go to the city and not to the counties who would need to ramp up suburb-to-city transit, which also includes ferry service. Many other high-density areas are now considering congestion pricing. Seattle Mayor Jenny Durkan wants to have driver taxation in place by the end of her first term in 2021. CMAP, Chicago’s regional planning organization released a report in early March concerning transportation funding options which include congestion pricing. Other cities plotting to add toll zones are Atlanta, Denver, Philadelphia, San Diego and even Salt Lake City, Utah. For some reason, all these city officials see dollar signs on the backs of motorists at a time when many motorists live in the suburbs or further out because it is too expensive to live in the inner city. Many motorists will have to pay even though they will receive little benefit in the long run since little of the funding will go toward street infrastructure improvements. And the jury is still very much out as to whether congestion pricing can actually ease traffic woes. 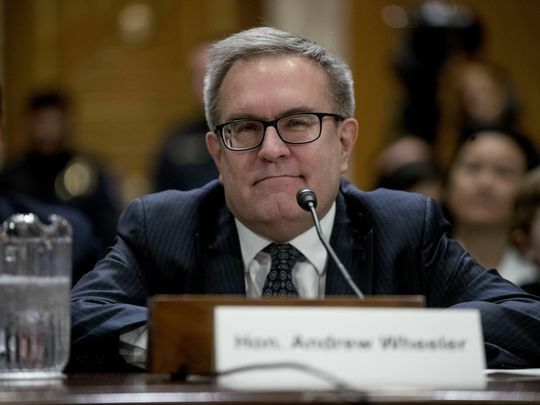 Washington — U.S. Environmental Protection Agency Administrator Andrew Wheeler defended the Trump administration’s decision to pull out of talks with California about new rules for gas mileage. Speaking to reporters Thursday at the Washington Auto Show, Wheeler said he is confident the Trump administration’s proposal to roll back stringent rules that would require automakers to produce fleets that average more than 50 miles per gallon by 2025 will hold up in court if it is successfully finalized later this year. The Trump administration announced last year its intention to ease stringent gas-mileage rules that would have required fleets averaging more than 50 miles per gallon by 2025. The administration proposed a freeze in the mandate after 2020, when their lineups must average 39 mpg. Automakers cheered the decision to reopen the so-called midterm review they were promised when the Obama-era gas mileage rules were agreed to in 2011. 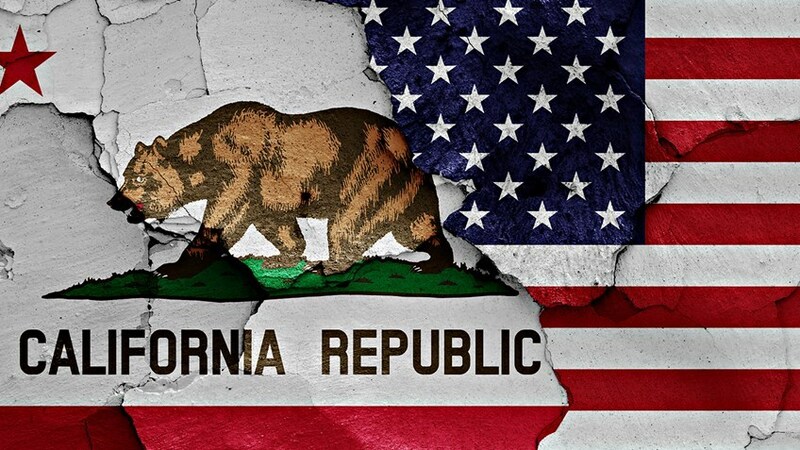 But they hoped the Trump administration would quickly reach an agreement with California on a new set of rules to prevent a lengthy legal battle that would leave the mpg requirements for the next half-decade in limbo. The Trump administration has floated the idea of moving to revoke a longstanding waiver allowing California and other states to set their own stricter auto emissions standards. Thirteen states and Washington, D.C., have adopted California’s mileage rules, meaning automakers could be left with one set of rules for a quarter of the country and another set for the remaining states. Revoking California’s waiver, which is ensconced in the Clean Air Act, would require an act of Congress that is unlikely with the U.S. House under Democratic control. Wheeler said the Trump administration is focused on making sure new cars are affordable enough for consumers to purchase new models that are more fuel-efficient. “Our overarching goal is to get more Americans into newer, safer, cleaner vehicles,” he said, noting that the average age of a car on U.S. roadways is more than 12 years. Wheeler touted the EPA’s enforcement actions against automakers that have been investigated for emissions violations. The agency reached an $800 million settlement with Fiat Chrysler Automobiles this year to resolve allegations from federal regulators that the company used software on about 104,000 diesel-powered pickups and SUVs that is similar to “defeat devices” used by Volkswagen AG to cheat U.S. emissions-testing. On Tuesday, April 2, both the Assembly and Senate Public Safety Committee are scheduled to hear several firearm-related bills and on Wednesday, April 3, the Assembly Appropriations Committee is also scheduled to hear several firearm-related bills. Please use the TAKE ACTION buttons below to contact the Assembly and Senate Public Safety Committee AND the Assembly Appropriations Committee. Assembly Bill 1096, sponsored by Assembly Member Melissa Melendez (R-67) would improve California’s concealed carry permit system by defining “good cause” and requiring that the issuing authority “shall” issue a permit if the statutorily required criteria is met. Assembly Bill 276, sponsored by Assembly Member Laura Friedman (D-43), would modify California’s already existing storage laws, which include a patchwork of local restrictions in addition to requiring firearms be inaccessible to both minors and prohibited persons, by providing additional storage requirements and significantly enhanced criminal penalties for failure to comply. Assembly Bill 879, sponsored by Assembly Member Mike Gipson (D-64), would require precursor firearms parts to be sold/transferred through a licensed precursor parts dealer in a similar process to the new laws regarding ammunition purchases. It would further create a new crime for transfer of precursor parts without the involvement of a licensed precursor parts dealer to anyone under 21 years of age or prohibited from owning firearms. Precursor parts include items such as unfinished frames and upper receivers. Assembly Bill 1064, sponsored by Assembly Member Al Muratsuchi (D-66), would place further restrictions on licensed firearms dealers, including prohibiting a residence as a place of business for licensees, allows localities to place further restrictions on where licensees may operate, requires licensees to carry insurance of at least $1 million in coverage per incident and requires extensive recording of a licensees premise to include video surveillance system that, among other requirements, visually records and archives footage of (1) every sale or transfer of a firearm or ammunition, in a manner that includes audio recording (2) all places where firearms or ammunition are stored, displayed, carried, handled, sold, or transferred; (3) the immediate exterior surroundings of the licensee’s business premises; and (4) all parking areas owned or leased by the licensee. Assembly Bill 1297, sponsored by Assembly Member Kevin McCarty, would remove the maximum fee a local authority can charge on the concealed carry permit application. Senate Bill 61, sponsored by Senator Anthony Portantino (D-25), would expand California’s one handgun a month law to apply to all firearms. Senate Bill 172, sponsored by Senator Anthony Portantino (D-25), would expand California’s existing storage laws. Senate Bill 220, sponsored by Senator Jerry Hill (D-13), would further increase the mandatory storage and security requirements for licensed firearms dealers. California already has some of the strictest laws in the country regarding how dealers must store and secure firearms. This bill simply places more costs and mandates on law-abiding business owners. Assembly Bill 284, sponsored by Assembly Member Jim Frazier (D-11), would permanently place in statute California’s junior hunting license, which is due to sunset in 2020. Assembly Bill 688, sponsored by Assembly Member Kansen Chu (D-25), would place stringent storage requirements on all firearms that are left in an unattended vehicle, regardless of the duration. The requirements set forth in this legislation are overly burdensome and in some cases unattainable storage options that are neither practical nor possible for the average firearm owner who may temporarily leave their vehicle unattended on their way into the field or to the range. Assembly Bill 893, sponsored by Assembly Member Todd Gloria (D-78), would prohibit the sale of firearms and ammunition at the Del Mar fairgrounds located in the 22nd District Agricultural Association on and after January 1, 2021. RiderMagazine.com Reports – Honda unveiled a custom Gold Wing at Daytona Bike Week, dubbed “Cool Wing” built by Kevin Dunn, Duy Nguyen, Jimmy Chen and Ray Tong, of Southern California’s Steady Garage. The design challenge was to create something that was stylish but without straying too far from functionality. Following an extensive draft process, designer Francis Clemente came up with a design that could stimulate both customizers and purists. Air suspension and batique-style mufflers were examples of elements that were key to creating the build’s silhouette, but a handcrafted leather saddle, bare metal details and scallops in the paint brought the Cool Wing to life. Mooneyes built a mold specifically for the project in order to make the disc covers for the Gold Wing front rim, while Platinum Air Suspension provided air shocks to help achieve the slammed stance without sacrificing the ride height. The onboard air is stored on two Dirty Work stainless steel air tanks, with air supplied by a single Viair 380c air compressor. Maxima Imagen painted over 33 individual parts and Electrical Connection provided dress-up components. 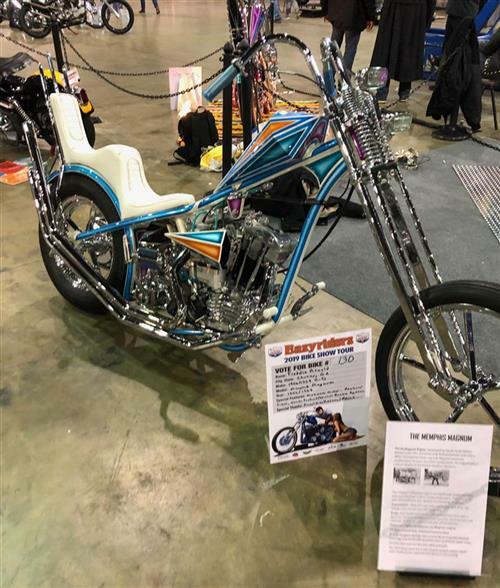 Cub Group supplied the industry’s first motorcycle blind-spot monitoring system (BSM), and Rogelio’s Auto Upholstery did a fantastic job with the seat. 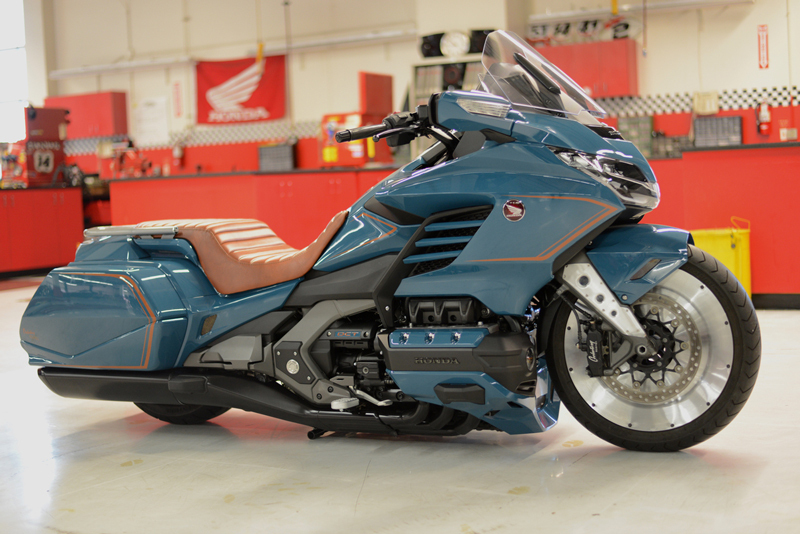 The custom Gold Wing would be appreciated by riders of all ages, interests and backgrounds. 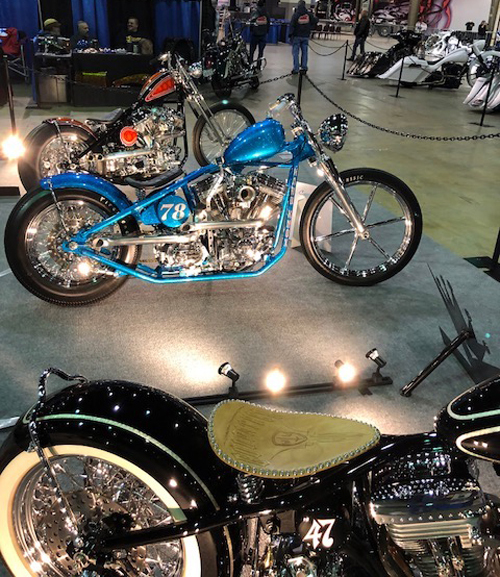 The Cool Wing will be on display at multiple events this year including the Grand Prix of the Americas in Austin, Texas, and the Americade Rally. On Tuesday, March 12, the Assembly Public Safety Committee was scheduled to hear anti-gun bills, AB 12, AB 276 and AJR 5. AB 12 and AB 276 were both pulled from the agenda and are expected to be rescheduled for a later date. AJR 5 passed by the Committee and is eligible for third reading on the Assembly floor at any time. Please contact your State Assembly Member using our TAKE ACTION LINK below urging him/her to OPPOSE AJR 5. Assembly Joint Resolution 5, sponsored by Reggie Jones-Sawyer (D-59) would urge the federal government to adopt universal firearm laws using California as an example. California is far from the example when it comes to firearm laws. Lawful gun owners must navigate a maze of gun laws that are ever changing. Each year the legislature considers numerous proposals that continue to place additional restrictions and costs on lawful gun owners while ignoring the fact that criminals are already ignoring the hundreds of laws on the books. The American Motorcyclist Association believes you may be interested in providing input to the California State Parks Off-Highway Motor Vehicle Recreation Division. This period provides an opportunity for the public to review and provide factual comments to the preliminary applications submitted for consideration during the 2018/19 grant cycle. To review and comment visit olga.ohv.parks.ca.gov/egrams_ohmvr/user/home.aspx for more information. The public review and comment period the began on Tuesday, March 5, and ends at 5 p.m. Monday, May 6. You may also submit your public comments in writing to the OHMVR Division at the address below. Please follow the AMA on Twitter @AMA_Rights and like us on Facebook. Thank you in advance for your interest in this important program. 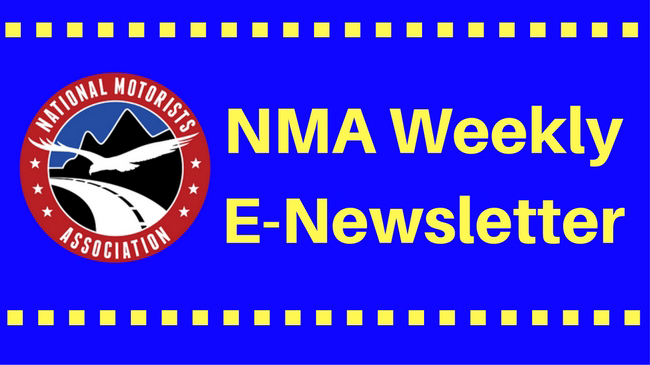 If you submit written comments please email a copy to the AMA at grassroots@ama-cycle.org. 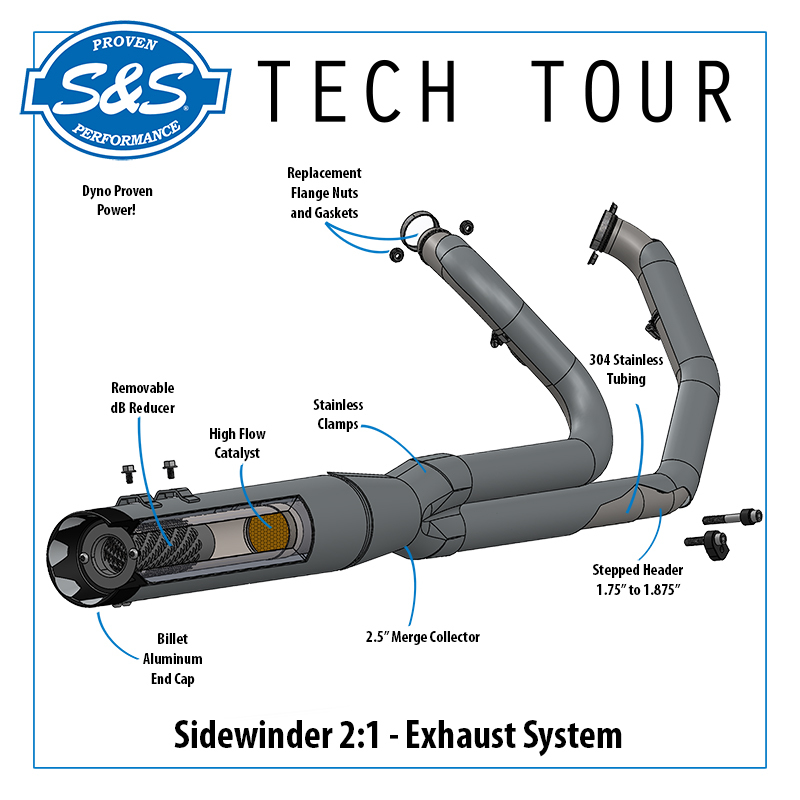 S&S Cycle’s Shadow Pipe for the Sidewinder 2 into 1 Exhaust! Love the performance of a two into one, but need the aesthetic of dual exhaust on your touring bike? The folks at S&S Cycle completely get it. The big power of their stepped header Sidewinder 2:1 system is the ultimate addition to any performance bagger and to keeps things balanced, they just launched their Shadow pipe. S&S has successfully developed its own emissions testing laboratory. It is a recognized testing facility by the US Environmental Protection Agency and is listed on the California Air Resources Board’s list of approved independent test laboratories for testing of aftermarket products on motorcycles. The S&S Emissions Certification Laboratory (ECL) is capable of performing both exhaust emissions and evaporative emissions testing. 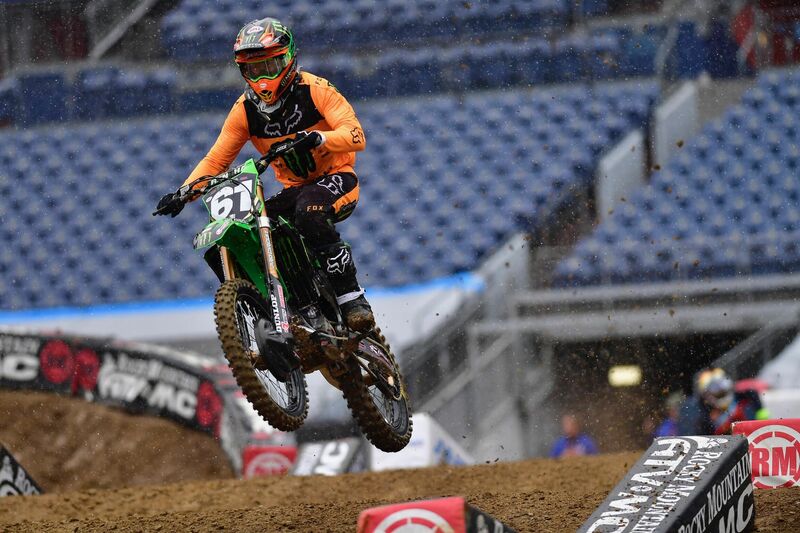 The ECL is set up specifically for testing vehicles in the power sports industry. Motorcycles, ATVs, UTVs, scooters, and trikes are all welcome candidates for testing at S&S. 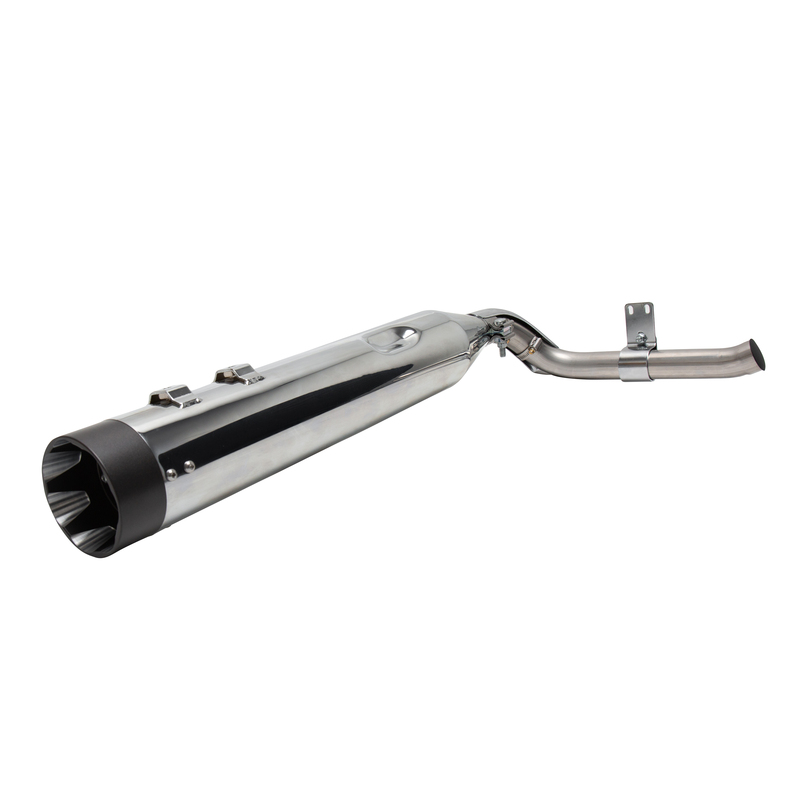 S&S Cycle, Inc. exhaust systems and slip-on mufflers are legal for sale and use on U.S. EPA and California pollution controlled motorcycles not originally equipped with a catalyst in the exhaust system. 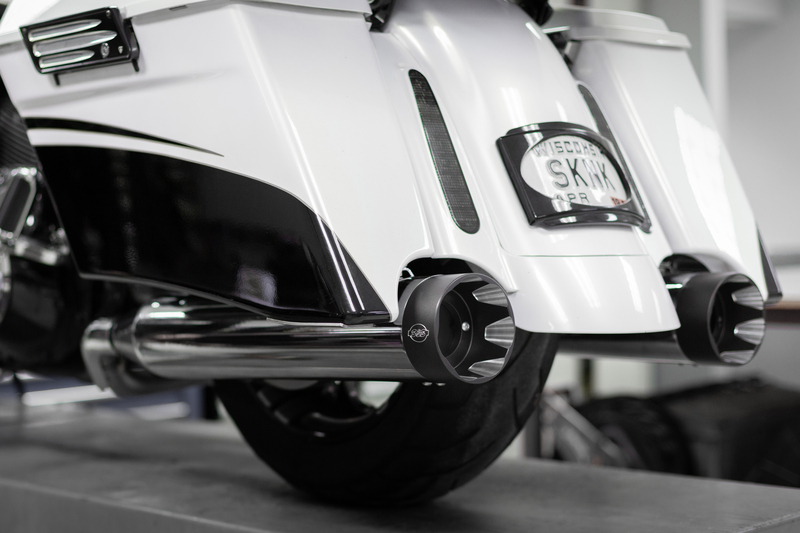 In addition S&S slip-on mufflers are legal for sale and use on U.S. EPA and California pollution controlled motorcycles that have the catalyst located in the header pipes upstream of the muffler.